Courtney & Travis’s wedding was pretty awesome. So awesome that we wish we were guests at it. 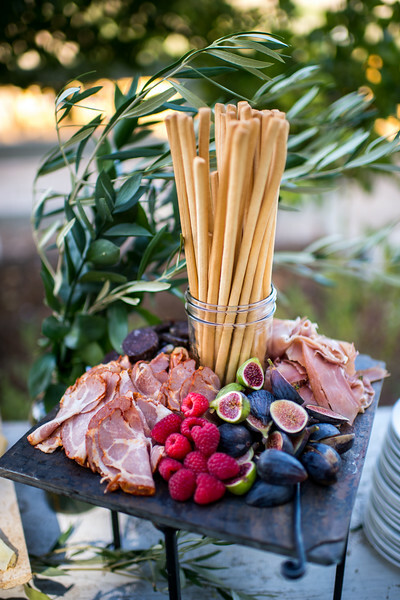 We’ll take being hired as their caterer & working it as a close second. 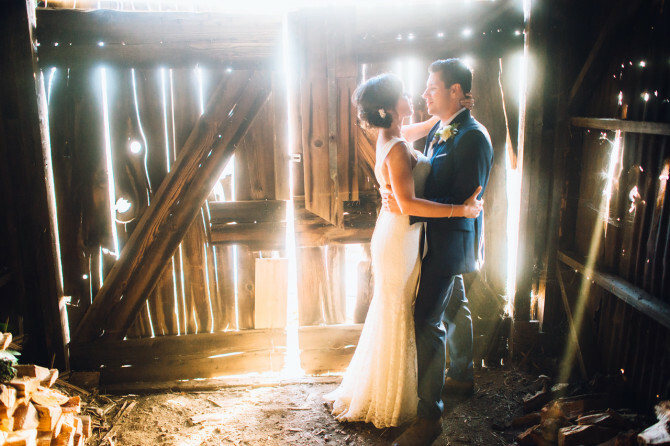 Beautiful venue, delicious menu, cocktail party vibe, great vendors (All About Events handled the rentals and Jonathan with Blue Photo, took these rad pics) and a very cool bride & groom. Did we mentioned we love Flying Caballos Ranch in San Luis Obispo? First things first. 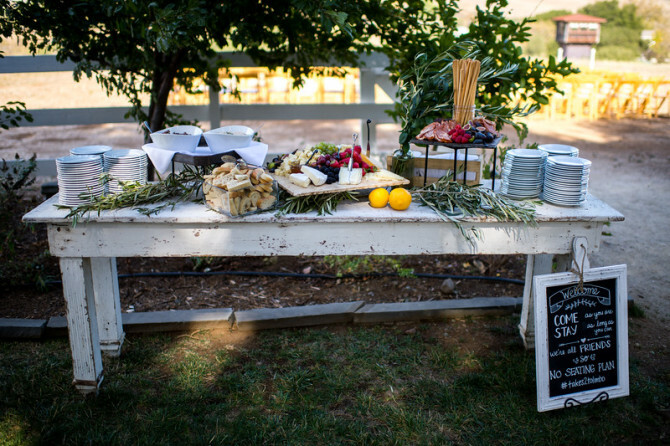 Courtney & Travis wanted their guests to enjoy themselves as soon as they arrived. As in before the ceremony. 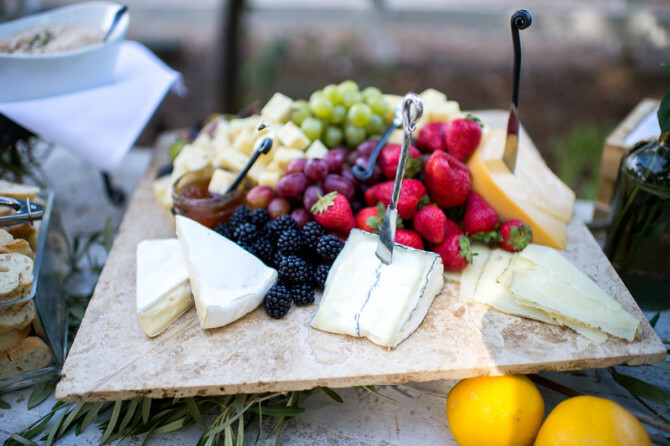 Champagne and craft beer were available, as well as a beautiful spread of cheeses, tapenades, hummus, artisan breads & local fruits prepared by our creative chefs. 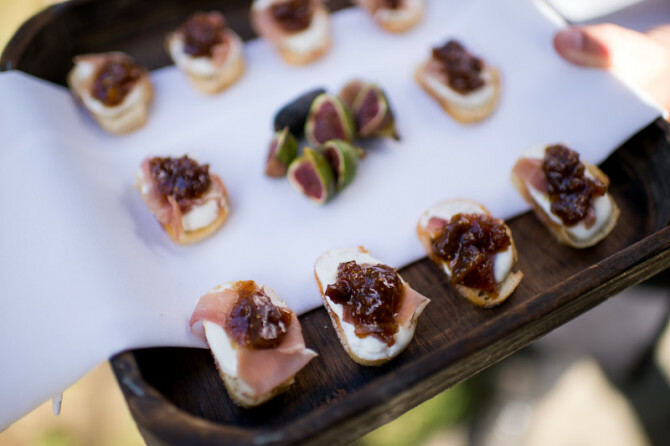 Following their lovely San Luis Obispo wedding, we catered appetizers that featured seasonal and local ingredients. 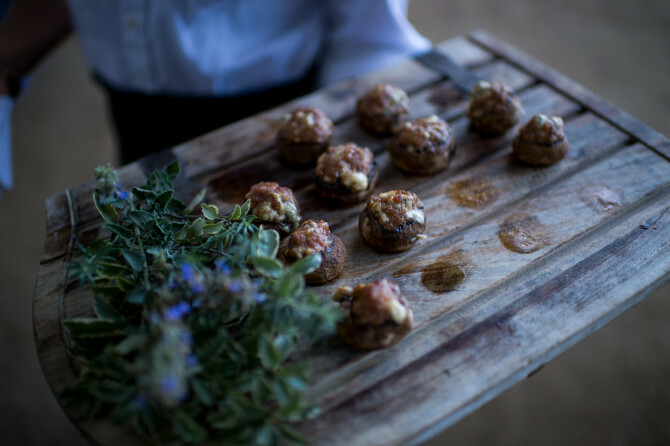 Think figs, proscuitto & goat cheese, and some classic stuffed mushrooms with local sausage, gorgonzola & fresh herbs. 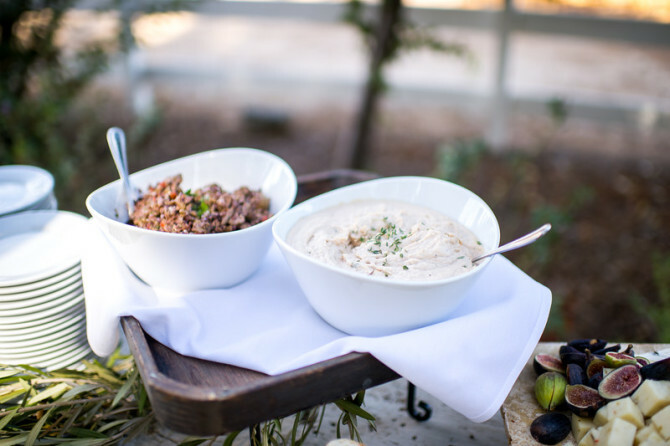 And if you love olives, our tapenade with local kalamatas, fresh herbs, garlic, anchovies, lemon, chili flakes & olive oil is not to be missed. Good, because now it’s time for dinner. They chose a stations-style service with cedar-plank salmon with olive tapenade & lemon zest and oak-grilled tri tip with fresh chimichurri sauce as their entrees. 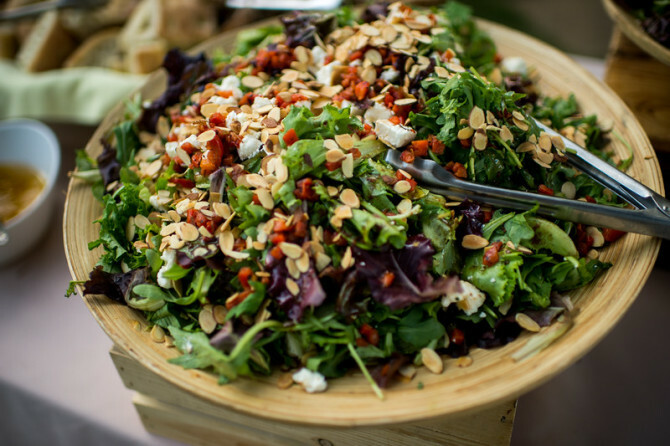 Then there was a salad station: baby arugula, pepparanada, toasted almonds, feta and roasted red pepper vinaigrette or one of our classics: organic field greens, apples, gorgonzola, candied pecans and pomegranate vinaigrette. This menu was all about fresh flavors & beautiful presentation. To finish it off, guests enjoyed sautéed brussel sprouts, local farmers market vegetables and mac & cheese with gruyere, pancetta & butternut squash. Delish! 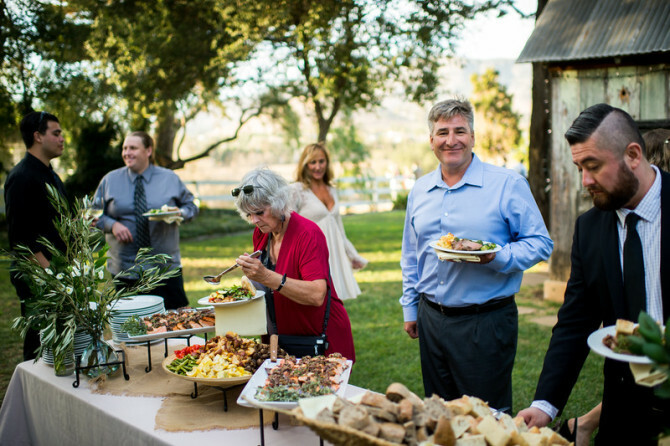 Congrats & thanks for using Pacific Harvest Catering!